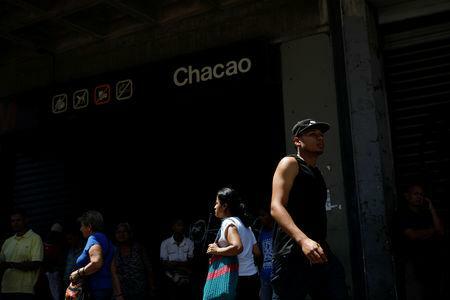 CARACAS (Reuters) - Venezuela blamed an "attack" on its electric system for a blackout on Monday, the second to hit the OPEC nation this month, that shuttered businesses, plunged the main airport into darkness and left commuters stranded in the capital. Service was restored in many areas within hours on Monday and Information Minister Jorge Rodriguez said in a televised broadcast that power was being "progressively reestablished." "We have suffered a new attack on our national electricity system's load and transmission center today," Rodriguez said, adding that the event had "similar characteristics" to the March 7 "attack." Rodriguez did not explicitly blame Monday's outage on any particular individual or group. But he said, "the intention of Venezuela's far-right is to attack, generate anxiety and anguish, in order to seize power and steal all our resources." The blackout came less than two weeks after reliable power service was restored following a prolonged blackout that began on March 7. 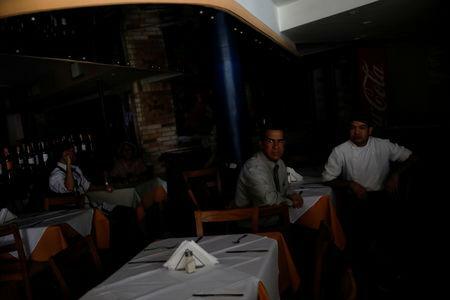 Maduro blamed that crippling outage on a "cyberattack" by the United States, but local experts said it had more to do with years of underinvestment and lack of maintenance. 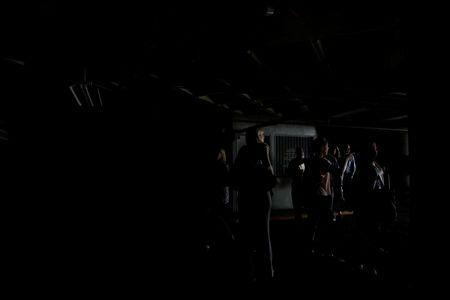 Lights were out in the Maiquetia airport near Caracas, a Reuters witness said, though flights were not canceled. A worker checked passengers' passports with a hand lamp, while the belt carrying checked luggage was running with power from a backup generator.